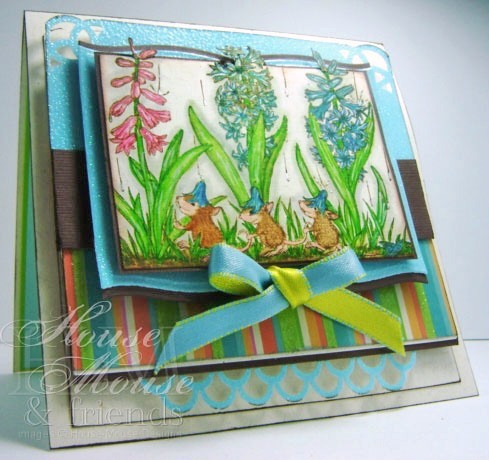 Cards by America: It's all about ***FLOWER POWER*** at our Fabulous House Mouse & Friends Monday Challenge BLOG this week!!! It's all about ***FLOWER POWER*** at our Fabulous House Mouse & Friends Monday Challenge BLOG this week!!! Hello & Happy Monday!! 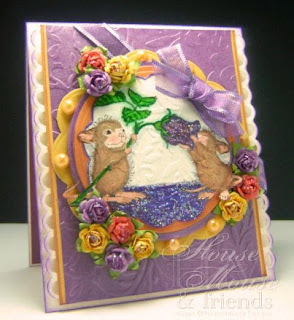 Today Im sharing 2 House Mouse cards that I created for the past two challenges at House Mouse &Friends Monday Challenge Blog. 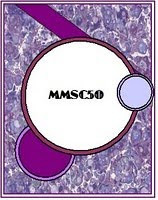 The first card is for this week's HM&F challenge #68 which was set by our Fun and FABULOUS DT Member Lori. She has asked us to create a card with *FLOWER POWER*... Im just NOT a floral girl, so this was tough. Stamp: Stampabilities, House Mouse Designs, "Everything Is Coming Up Roses", from 2007. #HMJR1074, featuring Mudpie & Amanda. Thank you for visiting my little corner of blogland & for your kind support! Happy Creating! Hi America, well both your cards are drop dead Gorgeous :) I love your use of colors and the placement of your elements on each card. You rocked the sketch this week as always.. Ok now let me go put a bandaid on my chin, because when I opened your page, my jaw hit my desk..LOL Thank you so much for playing the Midnight Madness Sketch Challenge. We are getting ready for this weeks post, so be sure to stop by..we have lots of cool stuff coming up and I don't want you to miss out on any of it. These are both gorgeous cards America. I do love the colour son the second one! Hi teamie well these 2 cards are totally stunning as ALL your creations always are..great spring colours in the flower power..gorgeous bold colours in the 2nd one ..
America-how are you today. What lovely cards you have created!!! You have such an eye or color, texture, and design. Beautifully done with the sketch this week. Thanks so much for playing along in the Midnight Madness Sketch Challenge. Hope to see you again soon. Both of the cards are so pretty...loving the take on flowers. Thanks for joining us this week at OSAAT. Both stunning cards, beautifully coloured gorgeous images. The colours you've used on the first one are amazing - I would never have dreamt of putting those together but they work so brilliantly and the layout is stunning!!! Both cards are just awesome hun. Thanks for joining us here at OSAAT.